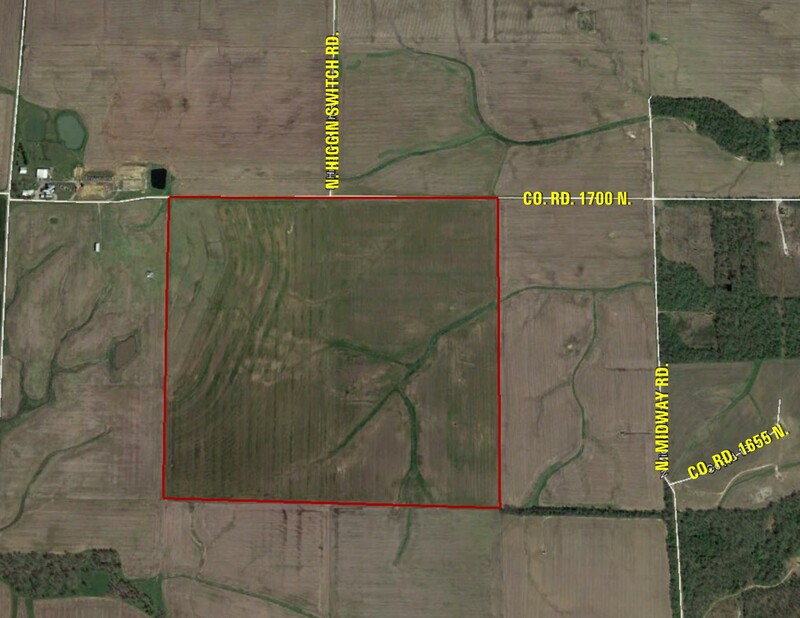 Offering 158.8 acres M/L in Richland County, Illinois, productive farmland. Includes 153.87 tillable acres with a PI of 103.1. Primary soil types are; Hoyleton, Passport, Cisne, Tamalco, Bluford and Blair. 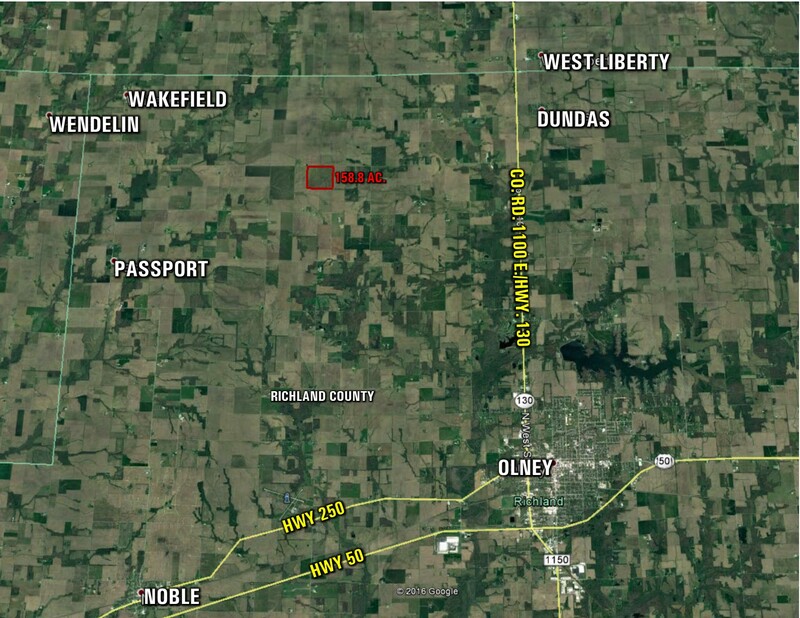 Located approximately 7 miles North and 4 miles West of Olney, Illinois, Sections 1 & 2, in Denver Township. North of Olney, Illinois on Hwy. 130 (AKA Co. Road 1100 E.) seven miles, turn left on Co. Road 1700 N., approximatley 4.5 miles, the farm is on the South side of road.